This guide to cooking with chicken is organized by technique, covering roasting, grilling, baking, sauteeing, stir-frying, braising and barbecuing, and includes more than 100 of "Joy of Cooking's" original recipes. These are complemented by more than a dozen stuffings, sauces, marinades and gravies as well as techniques and tips for carving, preparing, buying and storing chicken. 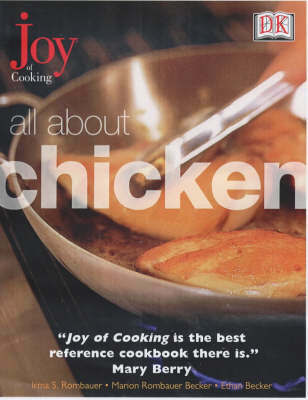 Each recipe features "Joy of Cooking's" unique "action method" which shows the ingredients specially highlighted so that the reader knows exactly when and how to add each one.